A grammar activity to practice using question words. Read the question and answer given in the box and then choose the question word you need to use to complete the sentence correctly. 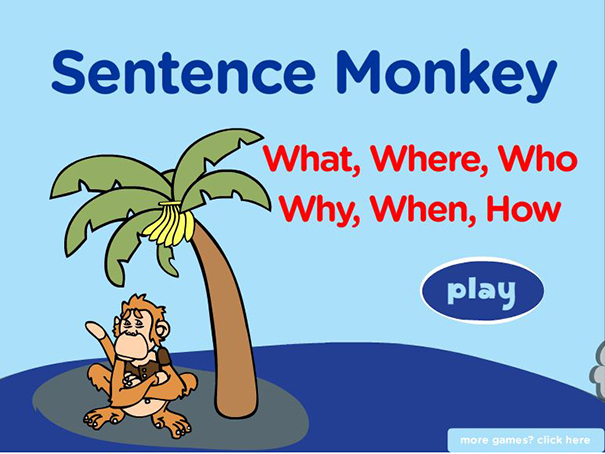 Try not to make the monkey cry with a wrong answer!